Did you think I would make it back again so soon? It wasn’t a given, to be honest. I truly have got out of the habit of blogging, so it came as a bit of a shock to the system this evening when I realised it was Sunday and I really should be pressing ‘publish’ on a blog post at some point… Ah well, I made it, that’s all that matters. I have a few new wholesale customers since I last updated the blog, but I’m going to save them for future posts and give them the spotlight they deserve. I’ve also sent out my first large order for wedding favours – I’ll be writing a post about that separately too. On a more personal note, my ankle still isn’t right from when I sprained it three months ago, just before my last update post actually. It didn’t stop me from going to my kickboxing grading last week though – I am now officially a purple belt kickboxer. Hard to believe that I’ll now be working towards a belt with some brown on it!! Oh, and having just quickly skimmed over that last post, I saw that there was a bit of a teaser at the end about an Instagram giveaway that I’d won? I suppose three months is long enough to keep you in suspense (lol!!) so here’s what I got – a handmade fused glass wave by Pam Peters Design – isn’t it absolutely gorgeous? I’m going to leave it there for this post. It feels a little disjointed and not particularly informative, but it’s a post – woop! I’ll be back into the swing of things again very soon, I’m sure. 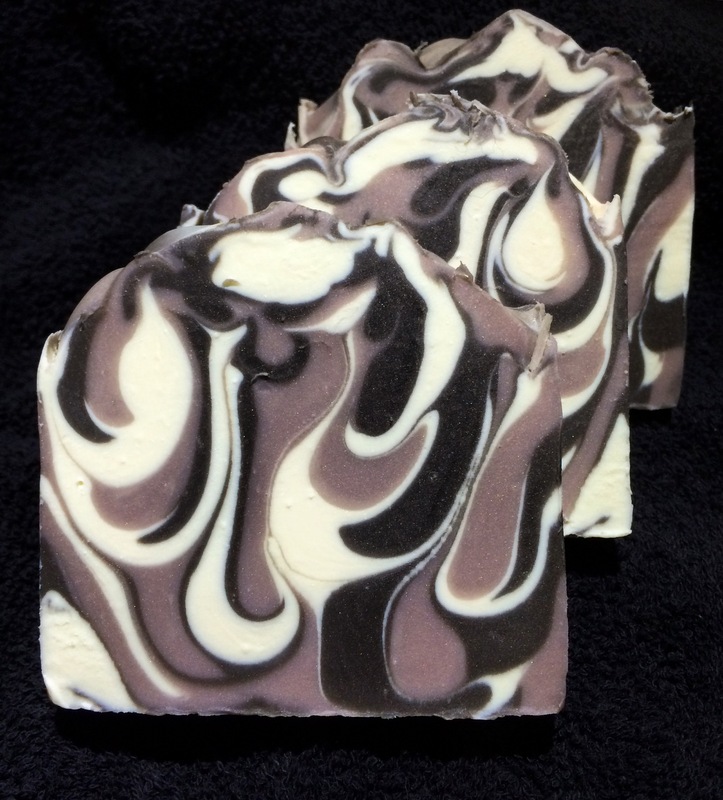 I’ve been using a partial drop swirl for all my essential oil soaps for a long time but for my fragrance oil bars I’ve been using a mix of styles – In the Pot, Tiger stripe, Drop – whatever took my fancy at the time of making. As I’m now selling more wholesale soap than I am retail, I’ve slowly come to the realisation that my FO bars need to be of a uniform design too. It took me a little while to settle into the idea. 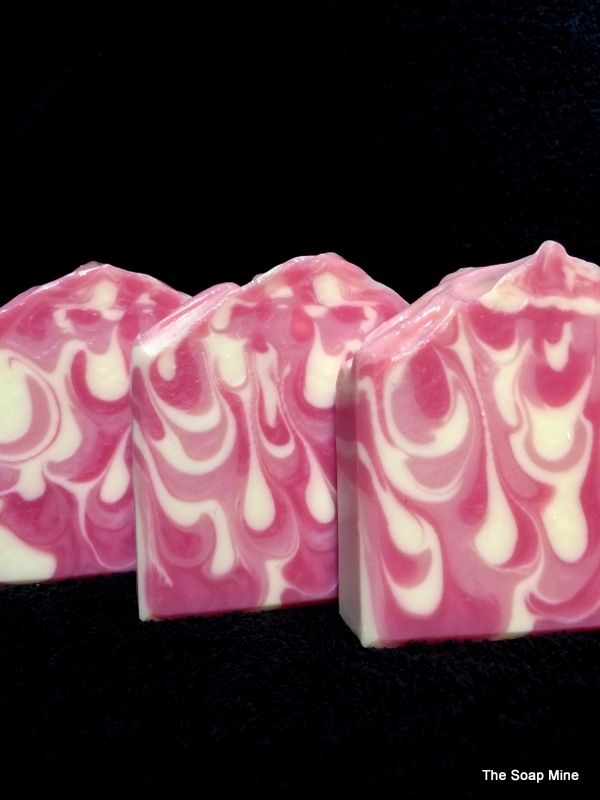 Soapmaking is such a creative process and half the fun is coming up with new designs and trying out new techniques. 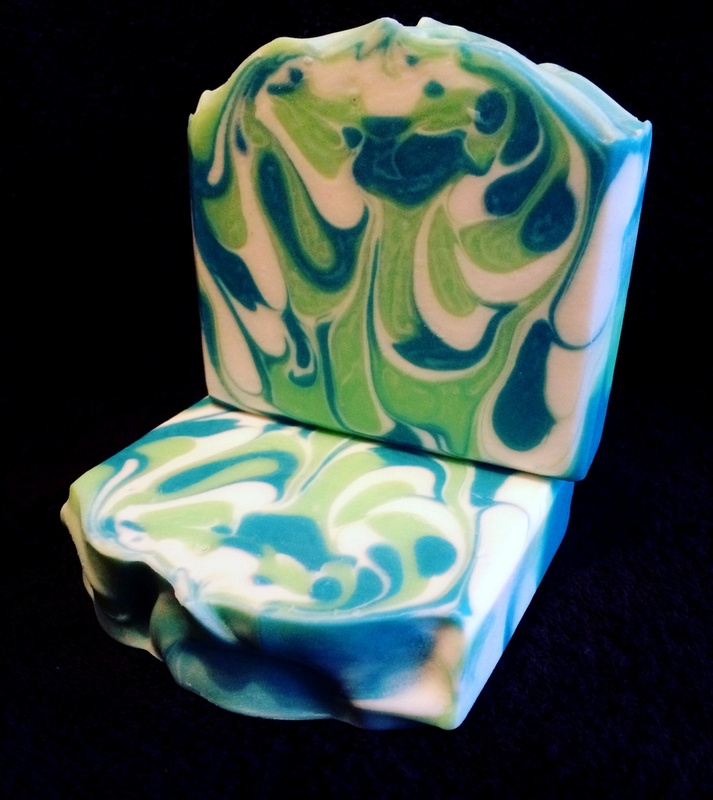 I reluctantly came to accept that I needed to choose a style and stick with it, making it synonymous with The Soap Mine brand and making my soaps (hopefully!) instantly recognisable. 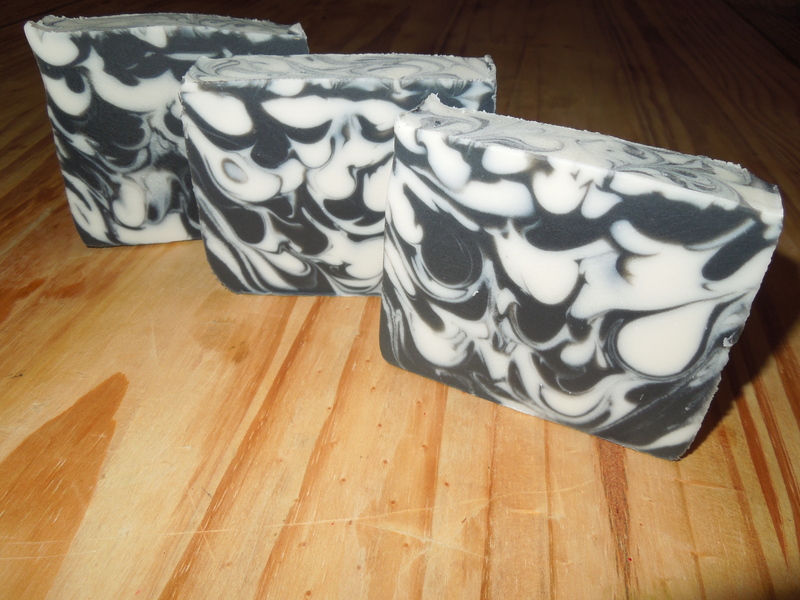 I wanted to retain a link between my EO soaps and my FO soaps, while ensuring it was easy to tell them apart, so the obvious choice was to make my FO soaps using a full bar drop swirl. 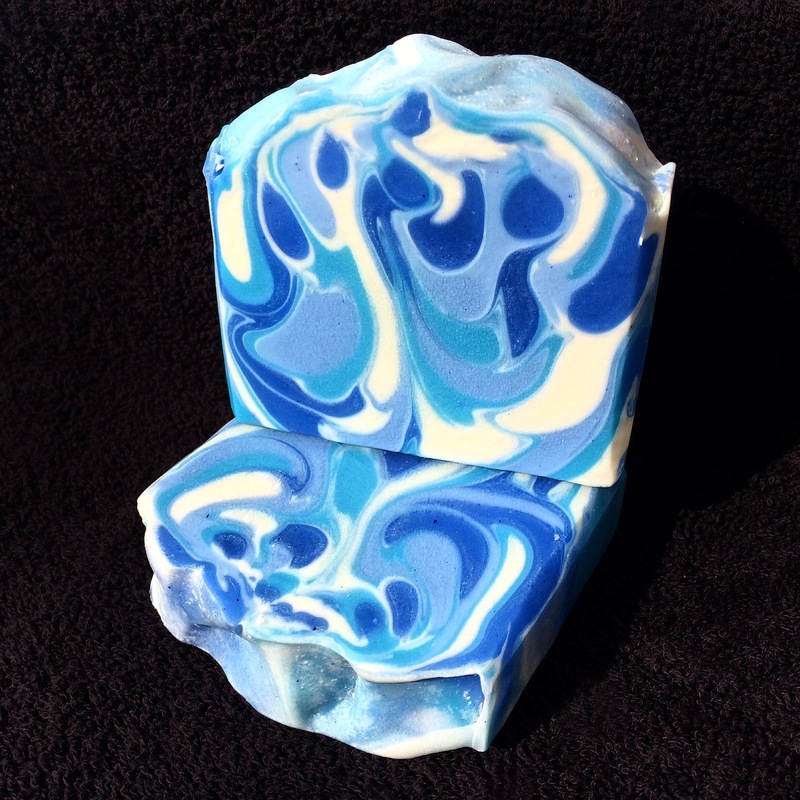 I’ve been making soap with this technique for a long time – this was the first one I ever made (years ago! ), fragranced with coconut FO. And these are some more recent makes – this is what my FO soap bars will look like for the foreseeable future. I promised weeks ago to update on my 2106 business goals, but I’ve found it so difficult to decide what my priorities should be. The days have passed and I’ve pondered and prevaricated, mainly because the next 12 months could, hopefully, bring some serious disruption to my soaping. When we bought our home 18 months ago, we knew we wanted to build an extension at the back, and within that extension would be a dedicated soaping area (woop!). We’ve finally had the planning permission through, and are hoping that the extension will be built this year. Generate at least as much income as I did in 2015. If it’s more – happy days! Finalise my recipe for bath bombs / fizzes, organise – and pay for – the safety assessment (a legal requirement in the UK), and start selling them. FINALLY get the website up and running. This one shouldn’t be a problem, but given that it’s been ‘in production’ for over 2 years it’s going to take more focus than I’ve had thus far to get it done.